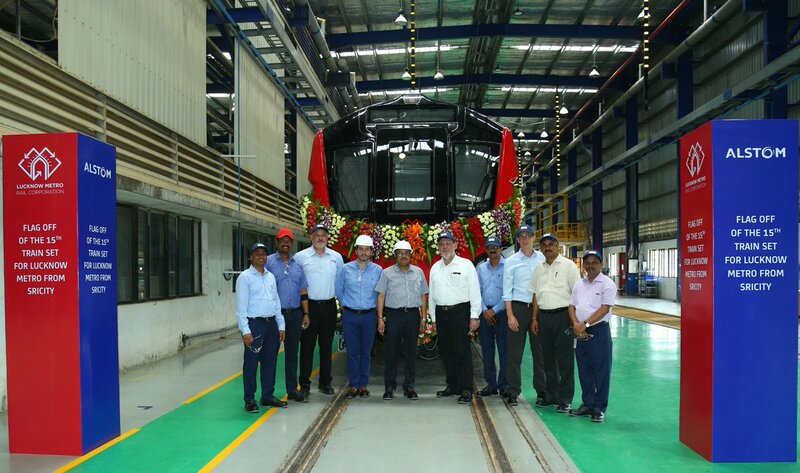 Lucknow: Altom India delivered its 15th train set to the Lucknow Metro Rail Corporation (LMRC) yesterday at its Transport Nagar Metro depot. Alstom Transport is manufacturing the trains at their manufacturing plant in Sri City (Andhra Pradesh)and the trains are transported through special trailers by road with pilot vehicles in the front & the rear. 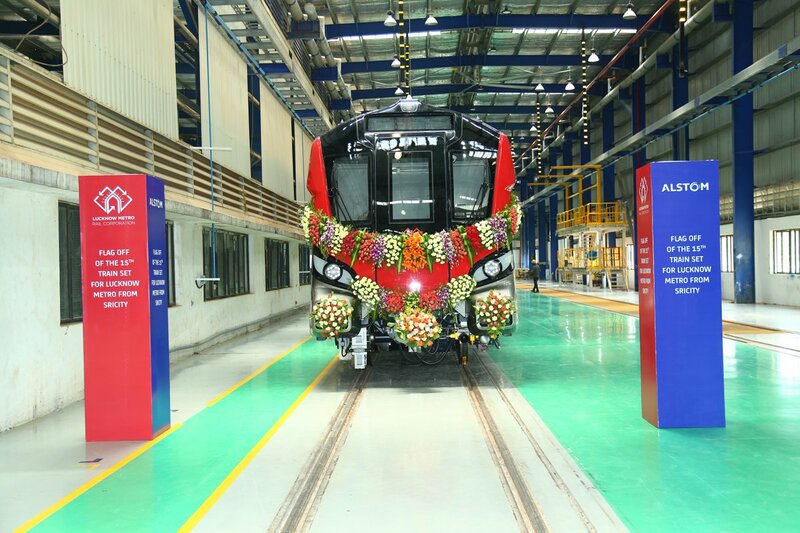 Alstom Transportation India has dispatched this train set on 4th May, 2018 from Sri City to Lucknow Metro. To unload the each car having 40 tonne weight of the train in depot a 180 tonne crane is use. 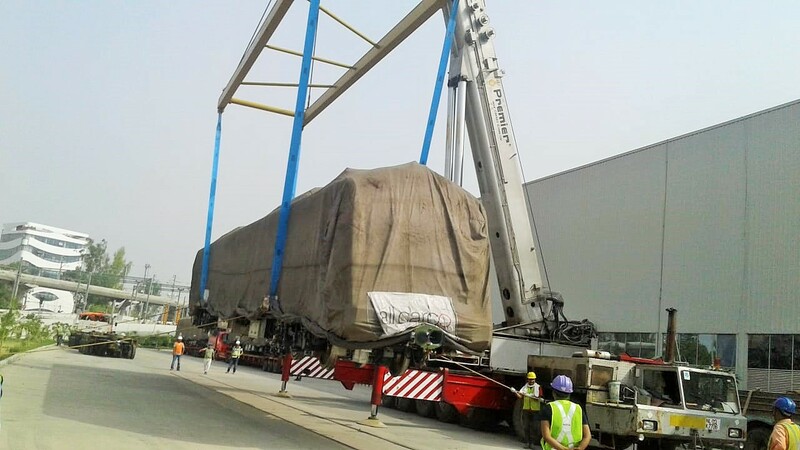 The coach is loaded loaded on a special trailer having 64 wheels to shift the coach from Alstom’s Sri City Coach Manufacturing Plant to Lucknow using a special spreader. According to Alstom India officials, they have conducted all trial testing before dispatching the train set from its manufacturing plant. Only dynamic trials of the train are required to be done in the Depot upon its arrival in Lucknow. In October 2015, Alstom Transportation India awarded contract worth 150 million euro by Lucknow Metro Rail Corporation (LMRC) to manufacture and supply 20 complete train sets along with signalling solutions under Make in India.